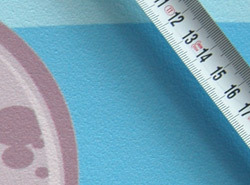 We offer custom printing services on both smooth or textured wallpaper. All our wallpapers are made in the US. Texture 1 is a PVC free product made with a polyester/natural fiber technology containing over 31% recycled materials. It combines Type II durability and a Class “A” fire rating in a highly breathable, recyclable wallcovering. 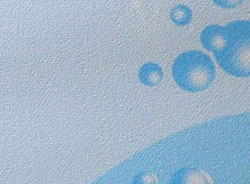 Our smooth (semi matte, no texture) and texture 2 papers are commercial strength TYPE II vinyl wallcoverings that are very durable and possess mold, mildew and bacterial resistance. 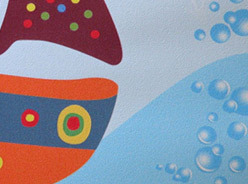 Please take a look below to see examples of textured paper prints. 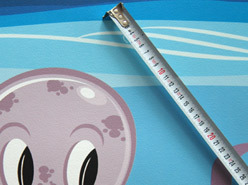 We also stock textured fleece wallpapers (made in Germany) for custom projects.